Handmade Wire Wrap Two Tone Sterling Silver Lariat Ring. 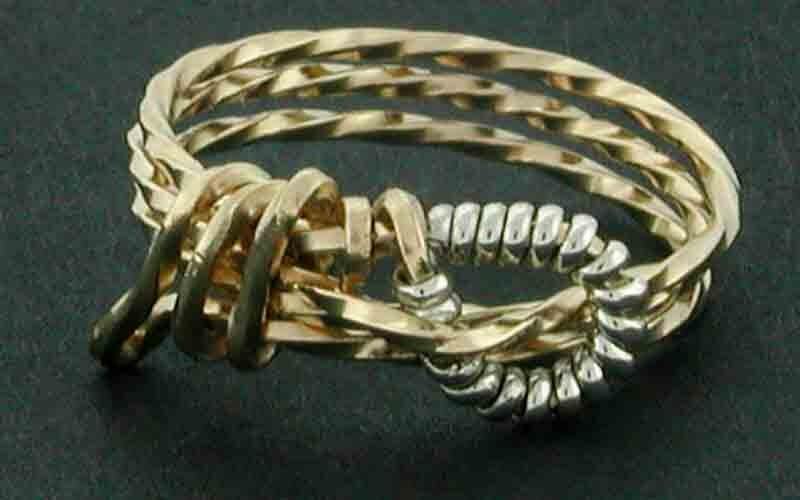 This unique and stunning ring is designed in a heavier gauge 040 square gold wire that is hand twisted. We then wrap the rondo in a smaller sterling silver wire to offer contrast. The materials can also be reversed. We size the ring to your requirements. If the sizing goes over a 13 there will be an additional charge of $10.00. 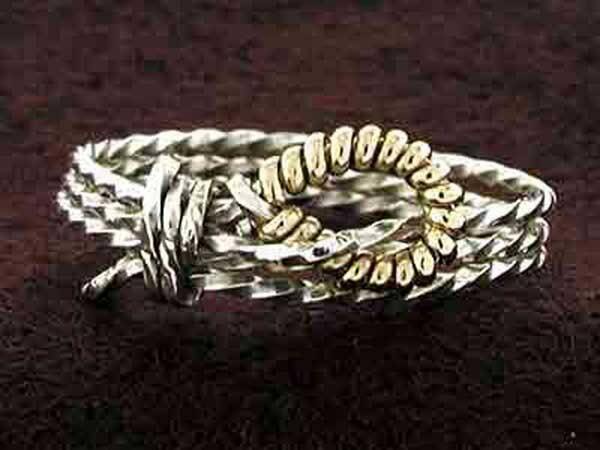 There is also a matching ring for your lady, they make lovely wedding bands for your western wedding.